THREAD of the PACK! - Guests and Members! Welcome to the Seasonal Trackers Pack! ►The Seasonal Trackers is a pack made up of two clans. The clans live on the territory claimed by the Dominants, Strong and MoonShine. 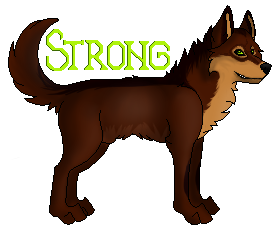 Strong (Dominant Male) is the head of the Summer Clan and MoonShine (Dominant Female) is the head of the Winter Clan. The whole pack lives in the Denali National Park, Alaska. The Chiefs of each Rank rule under the Dominants and Chiefs are helped by the representatives of their members, the Agents. They are the new wolves than have never been in our pack and wants to join us as a member. When a new person wants to join us, they must be a Seeker(unofficial member) until they reach, in the forum of the pack, a minimum messages of 35 posts . Once they reach the post number, they will automatically become Newcomers! So seekers are in testing period to see if they really want to join us or not. To know if you reached the enough posts to become a Newcomer go to check if you are in that group in the forum! If your character has less than one year of age and wants to join us as a member.. you will not be able to do the Ritual until reach the year but you will be able to join as official member by being adopted by someone in the pack! And to be able to be adopted you also have to reach, in the forum of the pack, a minimum messages of 35 posts. So.. if a seeker who is youngest than a year of age is adopted.. will be placed into the group of "Pups" and be able to RP into the Territory of the pack! They are the wolves who have been in the pack as Official members sometime and left for some reason but want to still in contact with us in the forum. They can RP in frontiers if they want, as well.. if they want to re-join again they can request it to the dominants and wait that the pack accept again them. These wolves not needed do the ritual again once will be accepted in the pack. You can only be in this specialty if you have left the pack in a friendly mode. These are also wolves than have never been in our pack, but these are not thinking for the moment to join to as a member. 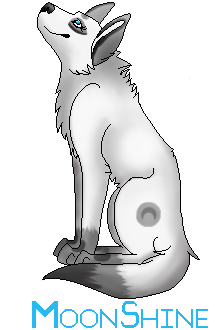 Loners can RP with us as dispersal and outsider wolf, if you are a loner you can be a friendly or an enemy one, it is your choice.. you can act how ever you want, but if your intention is being a member of the pack some day then we recommend you be friendly when you meet with someone in our pack. You also can request the type of Loner you want to be, friendly or enemy. [sl]TWO: After registration, send as guest this form in this thread! [tag="Meanings of the labels of the form"]*Wolf's name: Here is where you should put the name of the character which you are joining to the pack. And you'll have to register into the forum using as the 'Username' the name you put here! *Did you register on the STP forum? : You must do to be accepted! 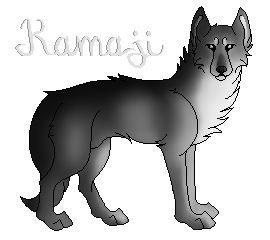 And do not forgot use the Wolf's name as UserName! Re: THREAD of the PACK! - Guests and Members! This is our new thread! Awesome new thread, Strong It looks fantastic! WOW! This is way better than the WQ thread! This is really going to attract some members! Nice job!! As I already said this morning, the new thread is perfect. :D I personally like it way better than the old WQ one. Awesome job, Strong. Congratulations, Kabili! I hope we meet in the RP soon. The thread looks amazing~! And congratulations kabili! The new thread is nice. Congratulations on your new rank, Kabili! Erudites/Healers: You will be working on creating a new type of cream to apply to wounds to help them heal faster. You can create it out of anything, but write down what you use in it because we will create a recipe topic for all the medical recipes. If there are members not active just continue onward without them. Hunters: You will be hunting. (obviously xD ) You may chose whatever prey you would like, but make sure you will be able to take it down. Dark will master the hunt also. If there are members not active just continue onward without them. Fighters/Protectors: You are job will be to patrol and mark the areas of the RP. Break up into teams and chose which territories each team will mark. (Recommending 3 teams. WC, SC, and Side Frontiers.) If there are members not active just continue onward without them. Contest: I will be trying to post the new contest tomorrow as well. RP Event: I will getting together with the Chiefs to discuss what the next RP Event will be like. They will be in charge of coming up with the event. Wish them luck! Congratulations on the new rank Kabili! The activities sound good Shiny.I'm early but at least I won't be left confused this time Have fun with the activities everyone! Thank you guys! I plan to be on during the activities! Welcome the newest registered user, Sparkelz! We hope you enjoy your time with us! ✷Personality: he is shy and quiet at first, like a wolf as he mostly is. 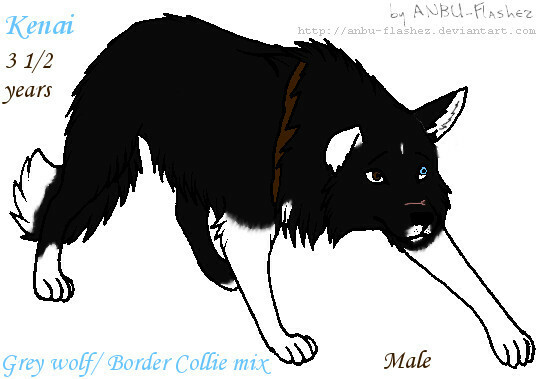 But when you gain his trust the border collie in him shows and he is more energetic and outgoing. He is fun to be around and is really good at herding, and he is very intelligent. but most of the time is is shy, but he is very sweet and affectionate and loving, and his greatest fantasy is to find someone special to express that love to. He is also bisexual, meaning he wouldn't mind falling for a male or female, but he'd still prefer females. ✷Secret answer: The Seasonal Trackers are far in the north. Anything else you think I need to know: can i PWEASE keep my "data" like DT, FF, coins, etc?i really don't feel like re-doing everything, it's tough enough to get rid of my other character, but i had to because she depressed me. Me too. I hope you get accepted too! You are back! If you are changing characters all you have to do is post a changing character bio in the Launch Your STP Character forum. With the yellow title. Click 'New Topic' and it will tell you how. We are glad to see you return and also nice wolf! HEY! I AM JOINING AS STRANGER! Read the guidelines of the white box that will appear above the area text to write the message once you have click on 'New Topic' button! Welcome to the pack, Blue! We hope you enjoy your stay!